It’s not as if the NHS has never thought about innovation. In 2011, it published a report called “Innovation: health and wealth“. The barriers to innovation are well known. The report indeed provides a good synthesis of some of the more common barriers. Simon Stevens, as NHS England’s new CEO, in identifying private healthcare firms as key players is bound to have produced fireworks. Simon Stevens has highlighted “the innovation value of new providers” in the provision of health services. He said failure to appreciate that value was one of a number of issues the NHS collectively had got wrong. This to me is a reasonable point, even if articulated somewhat aggressively. For every good innovative idea, there are thousands of turkeys. For this, you need to take creative risks in a healthy innovative culture. The NHS really has problems with talking risks particularly in light of the intense ‘zero fault’ memes sent out by Jeremy Hunt, the current Secretary of State for Health. Also there’s another elephant in the room. Many junior medics get through medical school without any training in any form of business management, let alone innovation management. Innovation management is a rewarding field which I studied for my MBA. It’s not simply doing ‘more for less’ as popularly espoused by self-appointed ‘entrepreneurs’ and ‘innovators’. Therefore, measuring any beneficial outcomes in the NHS, and rewarding them is intrinsically difficult. For this, the NHS needs to be seen to rewarding and training properly its innovators. Addressing an audience of 300 health professionals in Newcastle, Stevens said he was “struck by the misplaced consensus that seems to exist within the health service on various issues”. 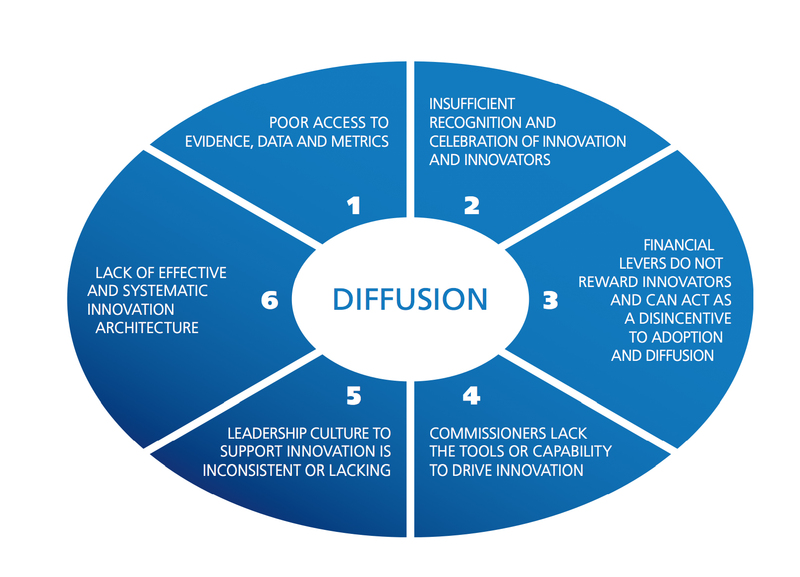 There is also, though, a powerful consensus amongst some that the NHS “can’t do “innovation. I don’t particularly know what Stevens’ motives are. It could be that the present government wishes to promote social enterprises and mutuals, through longer-term investor tools such as social impact funds, so that multinational corporations can go into strategic alliances with social enterprises to compete with the NHS for contracts. This might be consistent with “the critical role of the third sector, and the innovation value of new providers”. Certainly, the private sector does an important rôle to play in innovations in dementia, such as assistive technologies and ambient-assisted living. But the idea of outsourcing innovation to the private sector is one for me which lacks imagination, but will transfer resources from the NHS to multinational corporations and social enterprises. I actually do not have an ideological objection to this, though many will do. But I do find sad that Stevens has given a speech which acts as a powerful market signal to his intentions. It’s almost as if Stevens in one foul swoop has intimated that the NHS is incapable of “doing” innovation, and – even more dangerously – has ignored the progress which had been made.